The mobile app for your business travelers! 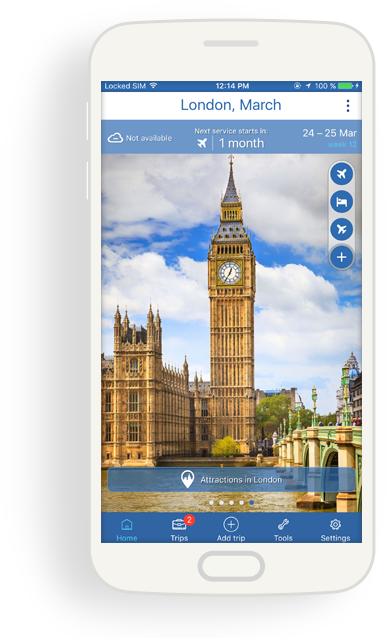 READY TO HAVE YOUR TRAVEL MOBILE APP FOR FREE? Mobile apps have become a must have for TMCs! Retaining your travelers should not be overly complicated! Mobile has changed forever travel industry - in a way technology can transform the travel experience and make it more enjoyable. Travel apps haven't just changed one element of the travel experience, it have changed all of them: from organizing trips, to finding the best places at your destinations or real time flight notifications. Now you don't have to worry anymore about investing thousands in a travel app! 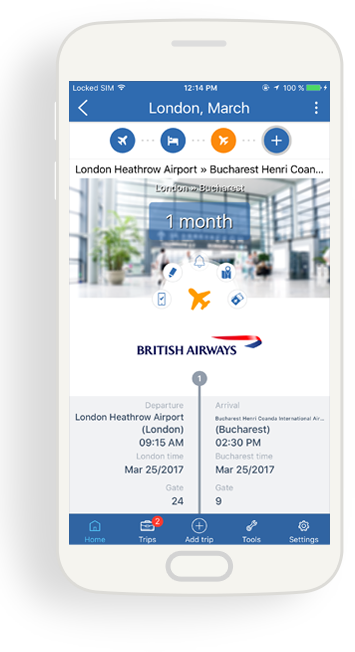 With TravList Free Version, you can send up to 50 new trips each month to your customers, directly from your TravList company account. Each trip can contain the flight information, hotel information or car rental and transfer information depending on the services that you sold them. Sign up for a free account, add your passengers in our TravList Itinerary Management platform, create trips for them with the bought travel services. We handle the rest - our platform will automatically push these new trips to your travelers by email. In a matter of seconds you can send all the traveling details in your travelers smartphone. 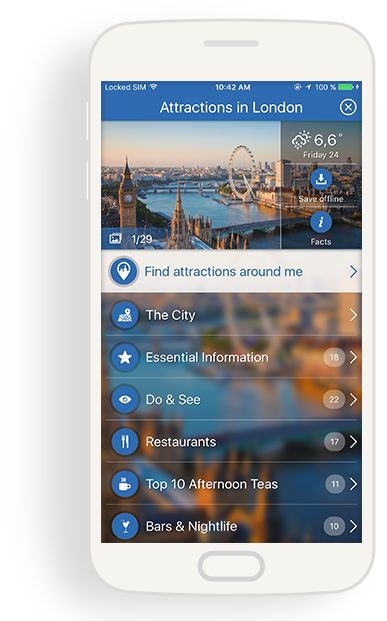 Your customers will appreciate the flight alerts, the map guidance to the hotel and of course the city guide with the best places to see, eat and drink. Sign up for free, add your travelers in our platform, create their trips and offer them a valuable app!